The Mens Narvik Trail Jacket from Jack Wolfskin means nothing stops you from gettIng out and gettIng active–even sub-zero temperatures. 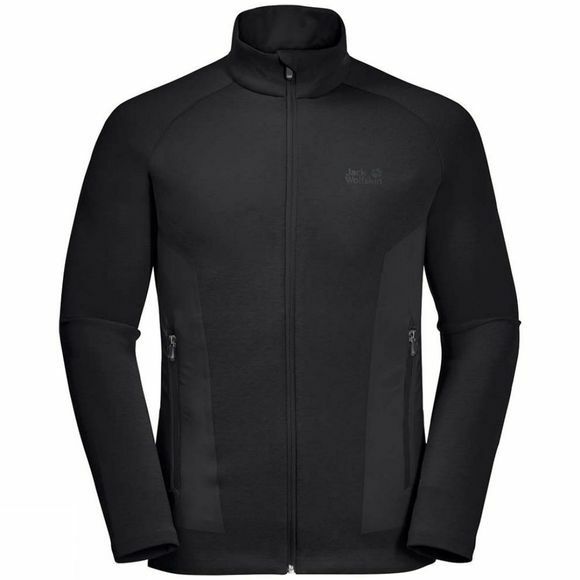 The Narvik Trail Jacket keeps you warm durIng fast-paced Outdoor sports and promotes full mobility. The Fleece fabric is ultra-stretchy and traps body heat efficiently.As part of our Athletic Outdoor series, the Narvik Trail Jacket is also Lightweight and very breathable. You can wear this Jacket on its own or as part of your layerIng system, e.g. under a hardShell In wet weather. It wicks moisture effectively, leavIng your skIn feelIng nice and dry. However you decide to wear it, the Narvik is the ideal Jacket for energetic Outdoor sports.All the seams are adhesive bonded, which gives the Jacket a very clean look.